When meeting clients for the first time, I love listening to their stories about each other and how they met. Brian told me that he was intrigued by Laura because of the ski goggle tan she sported to a somewhat buttoned-down event. And at that, I was sold on these two for life. Laura brims over with life and has this throw-your-head-back laugh and fist pump that came out everywhere. After their vows, in the middle of kissy portraits, at sunset, during dancing, you name it. And her emails to me were nothing short of awesome. Emails filled with superlatives and trust and confidence that made me grin and 100% psyched me up for their wedding. Brian, not to be outdone, sported an ear-splitting grin all weekend long and gave me such a huge hug when he saw me a few days before their wedding, saying I was the puzzle piece that made it all very real. Plus who could not adore his parents seriously having the time of their lives, in the middle of the dance floor, arms circled around their son? It’s going to be epic, Laura told me. She did not sell it short. Epic. Joyful. Heart-warming. Crazy fun. So fun, they are current front runners for my 2013 party of the year. And absolutely breathtakingly beautiful. Anytime you get hitched under the shadow of the Tetons, there’s unquestionable beauty. Laura + Brian — you two are the BEST. 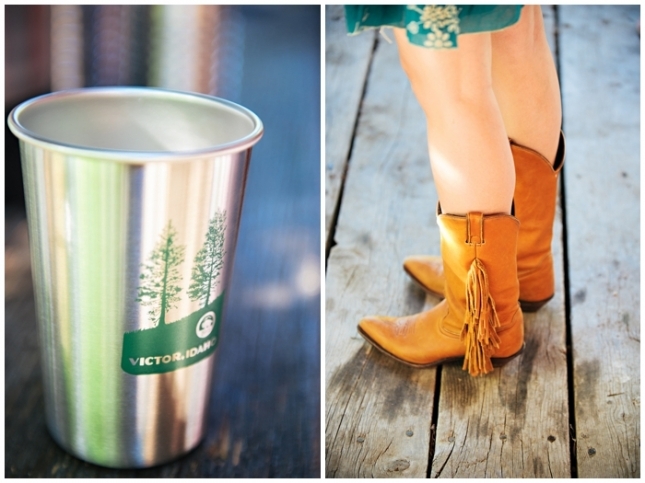 First, we spent Friday night at Moose Creek Ranch for welcome party for all their guests, featuring a pig roast, a bluegrass band, horses, corn hole tossing, and huckleberry cobbler. My little guy Cooper, who is six, came with me to the rehearsal dinner. I gave him one of my cameras set on auto and let him have at it, much to the amusement of their guests. Perhaps due to the fact that he is under four feet tall, he got some amazing shots! It’s wedding day!!! 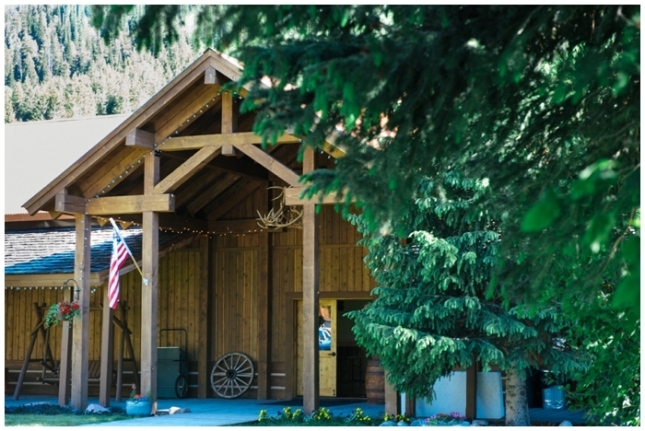 Laura did hair and makeup at Teton Springs — it’s so beautiful there. And finally, it was off to Linn Canyon Ranch, which happens to be just down the street from our house in Victor. Here’s Laura’s dad waiting for her to come downstairs. He was pretty excited to see her!